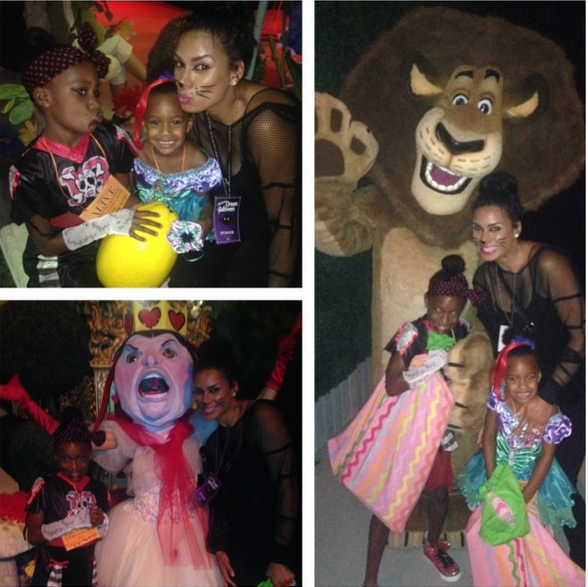 Home / xExtrasx / This Week in Pictures: Halloween Edition! This Week in Pictures: Halloween Edition! Check out these pictures of your favorite reality t.v. 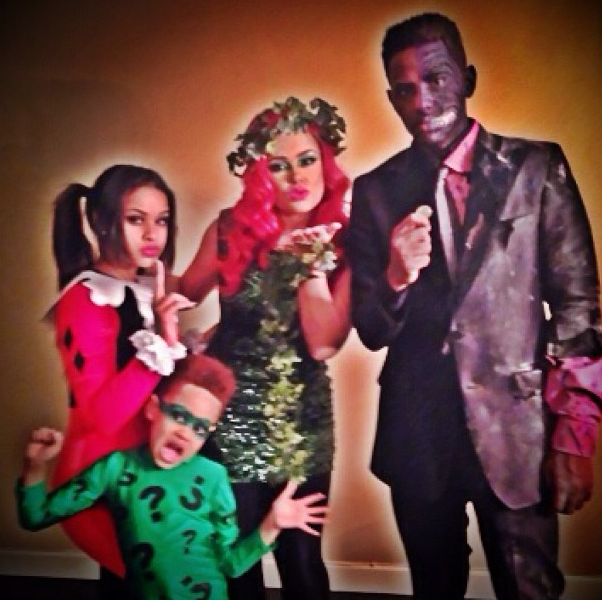 stars in their Halloween costumes! 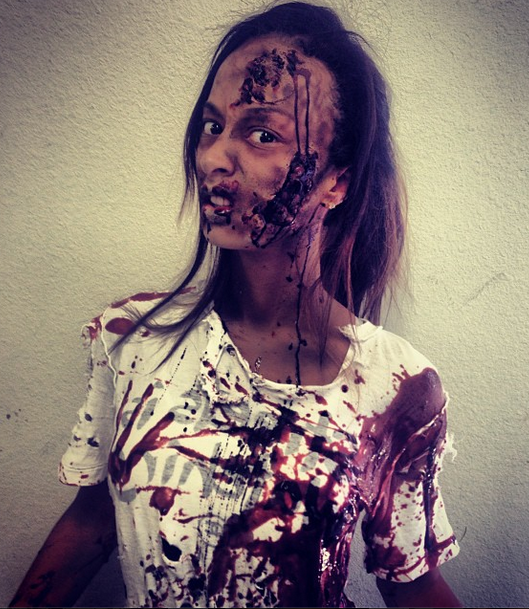 Basket Ball Wives L.A.'s Draya Michele surely scared the crap out of every child in her neighborhood with this "costume". Ain't it funny how she doesn't dress like a heaux ever since she got a boyfriend? Hollywood Exes' Nicole Murphy looks beautiful (as usual) in her cat woman costume. Meow! 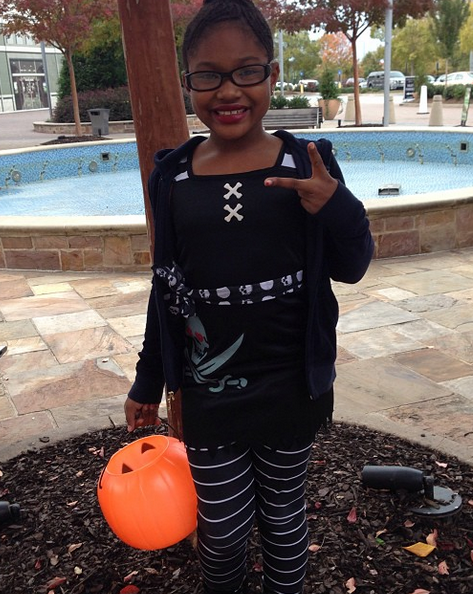 Lil' Scrappy and Erica Dixon of Love & Hip Hop Atlanta dressed their daughter Emani as a pirate. Cute and age appropriate costume. I'm feelin' it. 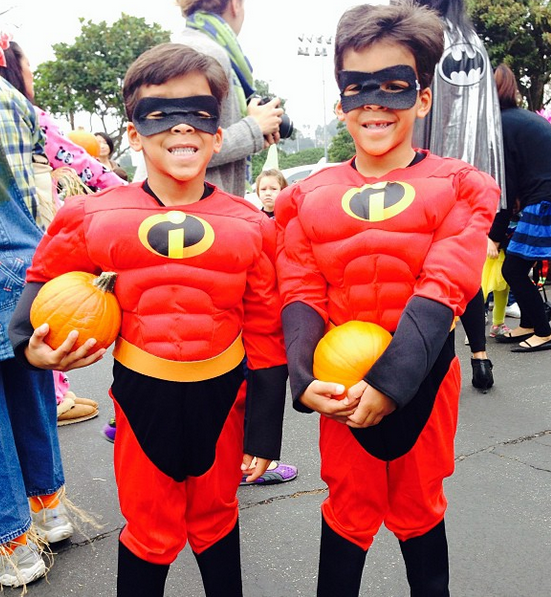 The twin sons of Matt Barnes & Gloria Govan of Basketball Wives L.A.'s got into the Halloween spirit by dressing as the Incredibles. Whoaaa Laura Govan of Basketball Wives L.A. killed it! She dressed up as Cruella DeVille and walked around with a Dalmatian. Helllll yessss! Werk boo! Laura then toned things down a bit to take her kiddies out trick-or-treating. 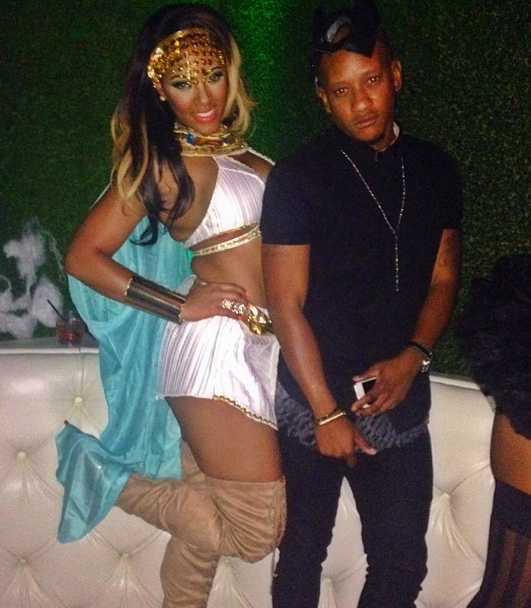 I have no clue what Basketball Wives L.A.'s Malaysia Pargo is trying to be but she looks cute. 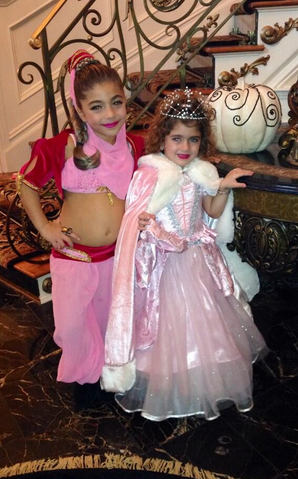 Lawd...Teresa Giudice of Real Housewives of New Jersey's dressed her daugher Milania as I Dream of Genie (?) and Gabriella as a princess. Milania is NOT ready for a midriff baring top. No, no, no! Ex-Love & Hip Hop New York star Emily Bustamante finally got some family time with her baby daddy Fabolous. I'm loving this family theme! Draya had the best costume hands down!